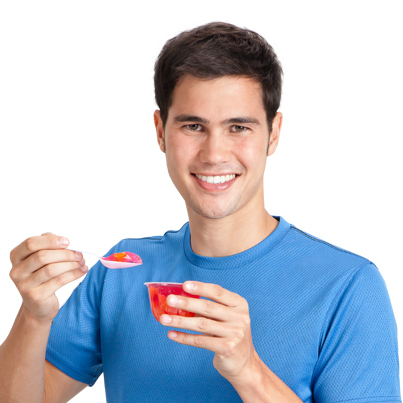 Home / ambassador / Bianca Valerio / chef jeremy favia / dole / dole philippines / fresh fruit / fruit / jon avila / phil younghusband / summer / This is My Dole / Meet the New Faces of Dole Philippines! Meet the New Faces of Dole Philippines! 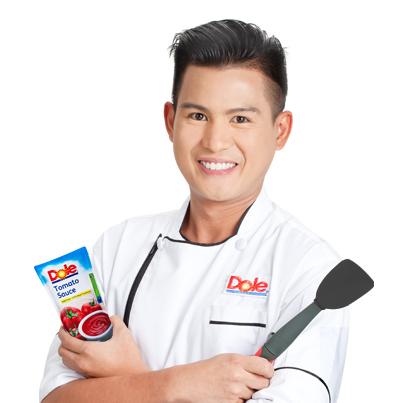 Aiming to emphasize that nutrition, beauty, and health is for everyone, our favorite fresh fruit brand, Dole is about to add more fun to our summer with the launch of their newest campaign "This is my Dole." And together with this exciting and captivating idea, Dole Philippines is also happy and proud to announce their new brand ambassadors that will help them promote healthy lifestyle! Take a look at Phil Younghusband, Bianca Valero, Jon Avila and Chef Jeremy Favia - the new faces of Dole Philippines! To help promote their message of wellness, Dole Philippines holds a fruitful press conference last week to introduce its fresh and hot line-up of ambassadors that will make every Filipino's summer season more colorful, nutritious and fun! And with the addition of these four hottest personalities, make way as everyone live the healthiest way of life the fun and stylish way! Model-turned-actor Jon Avila, Chef Jeremy Favia, beauty guru and fashion maven Bianca Valerio, and most sought-after sportsman Phil Younghusband as happy to say that they are equally happy to be a part of the Dole team in campaigning for a stylish yet healthy and fun lifestyle. Held at the Mandarin Oriental, Dole Philippines also unveiled the "This is My Dole" anthem video featuring the different ambassadors doing what they do best while enjoying the Dole products that best suit their active lifestyles. Being one of the guys that made football a real craze in the country, it is no surprise that Phil Younghusband leads a very active and busy life. With talent not limited to sports, he is also one of the most-sought after endorsers in the industry, leading the bunch with a strong and active image, perfect for Dole Philippines’ image. With his strong arms and washboard abs, sure enough that the sun is not the only thing that sizzles this season. An admitted wellness addict, Jon Avila never had a problem with staying fit as he makes it a point to break a sweat and eat healthy. Falling in love to this fresh-faced chef and gourmand is definitely not just some summer fling,, because with Chef Jeremy Favia as one of their newest endorsers, it is sure that Dole will be be a part of everyone's meal all day and all night. This cute and charming chef is set to help create and prepare quick and easy healthy recipes perfect for the health-conscious as well as may you kilig in every details he will share to us! The only flower among the thorns that possesses striking good looks and killer physique, Bianca Valerio is the brand’s all-around glamazon. As one of the country’s most favorite fashion and beauty personalities, she best embodies all the glamorous and fabulous things about living healthy. As for the guests that day, everyone got to enjoy healthy cocktails and refreshing drinks suit to help us escape the summer heat. Dole Philippines is inviting us to join them on this great summer adventure by staying in contact with them on their Facebook Page - Dole Fresh Philippine and following on Twitter and Instagram - @ThisIsMyDole. 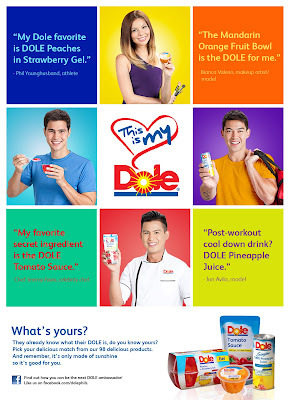 You can also enjoy watching your favorite Dole brand ambassador by on “This is My Dole” music video on www.youtube.com/ThisIsMyDole. span style="font-family: Arial, Helvetica, sans-serif;">Stay healthy and stay happy, everyone!